By guest blogger, Hilary Shirk. Cats belong in the jungle… the jungle gym of their dreams! Meee-ow. What if you bring your precious pet their very own customized cat stand jungle gym? 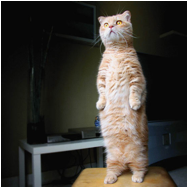 Only a cat owner knows their feline’s unique mannerisms, habits and preferences. 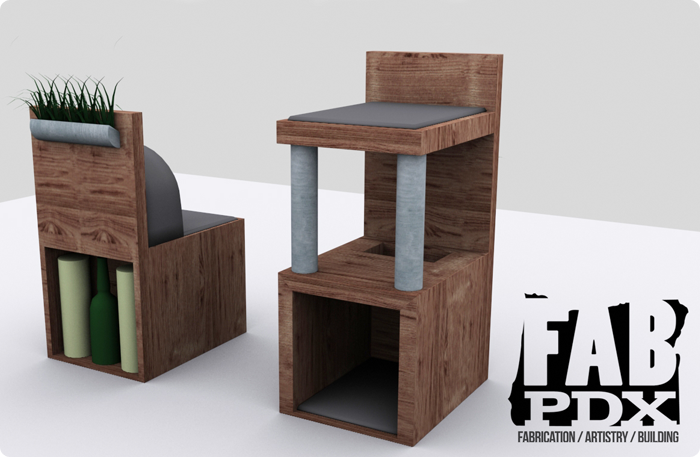 So only you could be the one to help FAB PDX build the perfect cat stand. Add personal touches of cat grass and scratching posts, tunnels and cuddle puddles. Your cat stand will not only please your cat and last for years, but will be a living room design piece to show off to all your friends! …Not that kind of cat stand. But this is very cool anyway. This entry was written by brian, posted on February 23, 2012 at 7:54 am, filed under Uncategorized. Bookmark the permalink. Follow any comments here with the RSS feed for this post.